How a company picks employee insurance plans depends on the size and financial resources of the specific business. Securing quality, affordable health insurance is sometimes difficult for new businesses, so this guide will provide readers with the right tools and knowledge to find the best health insurance solutions. When selecting insurance plans, company leaders must understand their needs and their employee’s priorities. They must first determine how much cost-sharing the company can afford. This is important, because the monthly premiums of group health insurance plans are paid by both the employer and employees. However, most states require employers to cover at least half of their employee’s monthly premiums. This must be considered when comparing insurance quotes. Company leaders must also determine whether employees would prefer plans with cheaper monthly premiums, but higher annual deductibles and visa versa. Certain health plans also prioritize certain services and benefits. For example, employees in low-risk industries, such as retail and banking companies, may only need regular checkups with low copayments, but construction and manufacturing employees may want better catastrophic and emergency medical coverage. Employers must be familiar with the basic types of health plans. There are Preferred Provider Organization (PPO) plans that require employees to select among certain medical care providers. Out-of-network services are not fully covered and are paid at a lower rate. These plans are very popular with employers because they preferred doctors can be confirmed during the quote process. The next most common type is Health Maintenance Organization (HMO) plans that offer a vast range of services through exclusive provider networks. In this scenario, employees must choose a primary care physician and specialist who will to provide most of their health care services. HMO plans work well if employees value preventive care services, such as checkups and immunizations. The third type of health insurance plan revolves around health savings account (HAS) and flexible spending account (FSA) eligibility. These plans offer special bank accounts that allow employees to transfer pre-taxed money into for medical expenses. copayments and coinsurance. Companies with employees who want to make frequent doctor’s office visits should choose an affordable and consistent copayment amount. Choosing a plan with a high deductible will keep employee’s monthly premiums low, but the total amount should not exceed five percent of the average employee’s annual gross income. Coinsurance refers to the amount that employees must pay for medical services after their deductible is reached. 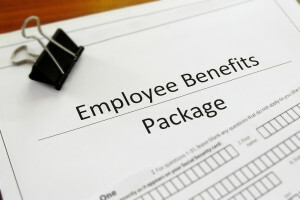 Most employers cover at least 80 percent of charges and let employees pay the remaining 20 percent. It is best for employers to set a lower maximum out-of-pocket cost so employees will have limited financial liabilities. To wrap up, employers should also determine if there are insurance companies that employees prefer and research the federal government’s Health Care website to learn more about their legal responsibilities. How a company picks employee insurance plans ultimately depends on individual needs and financial limitations.